I am participating in the ‘Memorial’ group show in Greenwich from July 23 to August 5th. You can see some of the images being shown on my portfolio page under ‘Radiant City’. This event is organized and curated by Nick Scammell and Michael Rodgers as part of the Crossing Lines group. The PDN June Photo Annual 2012 issue should be on the newsstands right now with an image from my ‘Offshore’ series on page 130. They have also put up a gallery of the winners online at the following link : gallery. The category should read ‘Personal’ and click the arrow on the top right 3 times to reach my series. Better yet, click through all the images. There are some amazing photos among this years winners. 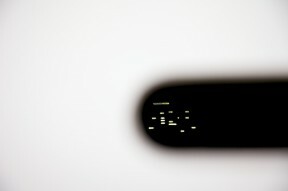 I was interviewed by the Printspace, printing company here in London, regarding my shortlisted entry in the WPO. You can read the posting at their site here. My ‘offshore’ series of ship photos has been chosen as a finalist of the Photo District News 2012 Photo Annual magazine competition. The June issue has all the finalists and winners and a gallery showing all the work will be posted online. I’ll update this page as soon as the gallery is posted. Meanwhile you can see the offshore series on my PORTFOLIO page. LIP – the London Independent Photography organisation is a photography group that I joined when I arrived. They have kindly noted a few of our members that were shortlisted in the WPO Awards (including yours truly). 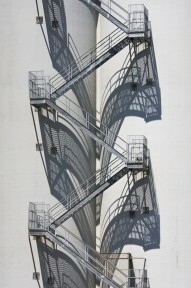 I am humbled to have just been shortlisted for the Sony World Photography Awards 2012 in the Open – Architecture category. This image was one of nine chosen from 52,323 entries. All the shortlisted and commended images will be exhibited at Somerset House here in London from April 27th until May 20th. Try to visit if you are in town. Here is the link to a gallery of the finalists. Check out the other categories as well, there are some beautiful images.